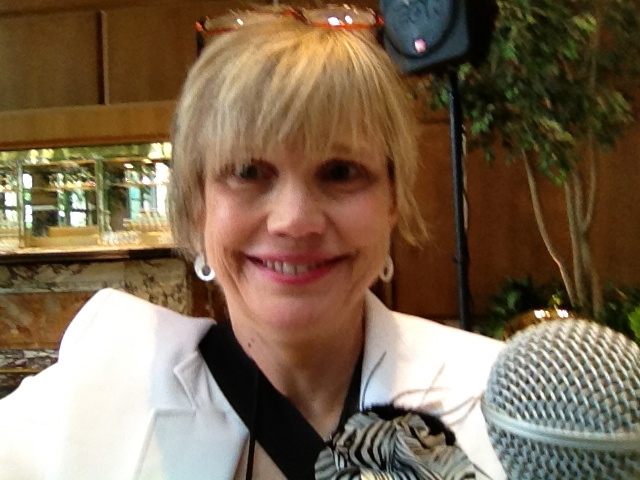 The BlogHer Food ’12 Conference: An amateur’s journey. I went to my first blogging conference last week – the BlogHer Food Conference. I was a sponge, soaking up all information presented before me. I was not self-conscious nor insecure about my amateur status. I connected with women and a few men of all ages and backgrounds of blogging. I was a volunteer Mic Wrangler. I carried the mic around to audience members to ask questions of the speakers and panelists. I smiled and dashed around the room. If you have followed my blog, you know that when I make a recipe I’ve never made before, I post my list of what I discovered along the way. 1) Don’t drink red white and wear white. Or drink white wine. It was a conversation starter as many people remembered me the next day and offered cleaning tips. 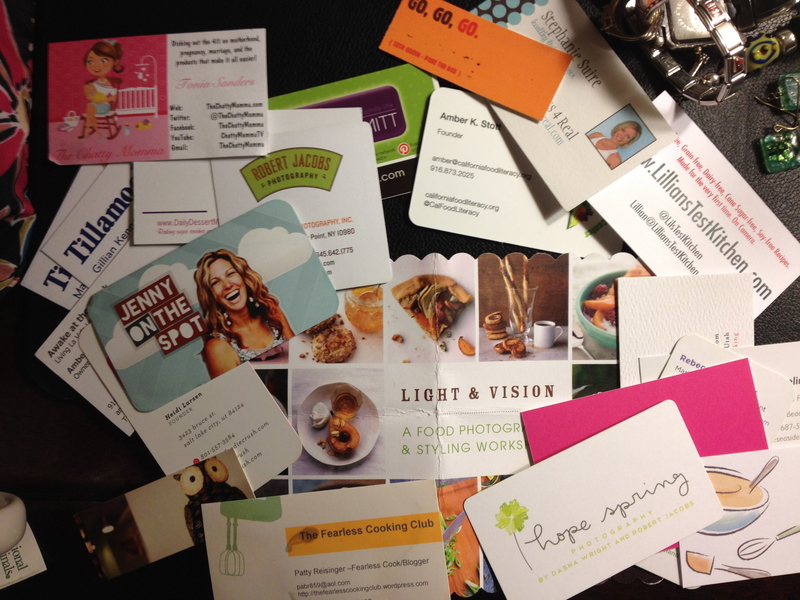 2) Swap and share business cards with your blog address. This activity alone started many conversations. 3) I thought I wouldn’t get attached to the vendor kitchen gifts, but I did. I purchased an $18 bag to drag home the schwag. Jacqueline, theseasidebaker, brought a really big suitcase for her schwag. Smart girl. 4) If you get an invitation, take it. I was invited to dinner with two professional photographers Dasha Wright and Robert Jacobs. They were natural teachers and willing to share their experiences with eager learners. I also ate my first mussels, which were luscious. I was asked to volunteer at the registration table. While there I got to know two wonderful bloggers who told me their stories: Kate from artofthepie and Tonia from chattymama. 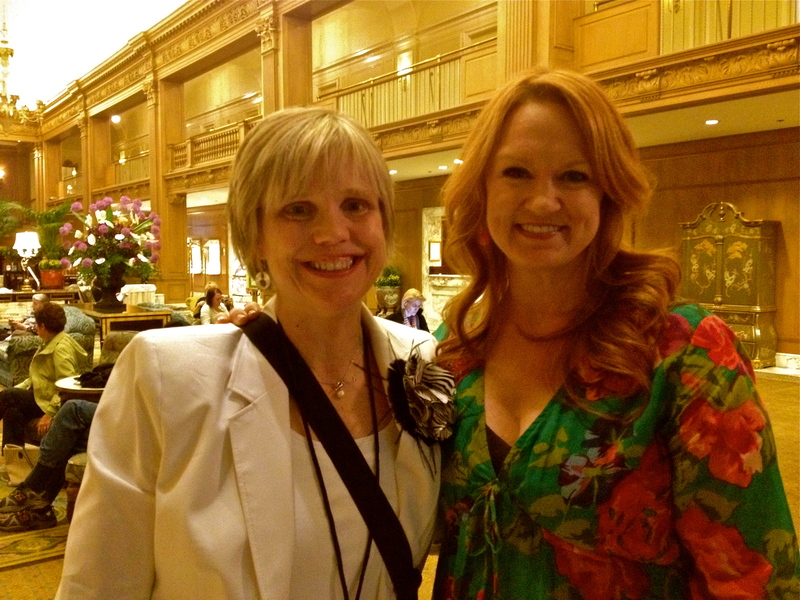 We were the first to meet and greet The Pioneer Woman, Ree Drummond, when she arrived at the conference. 5) Everyone makes mistakes so show them. I took this advice to heart. 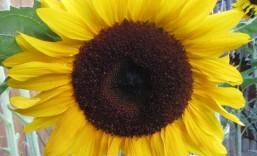 I am a perfectionist about this blog but I am not perfect. 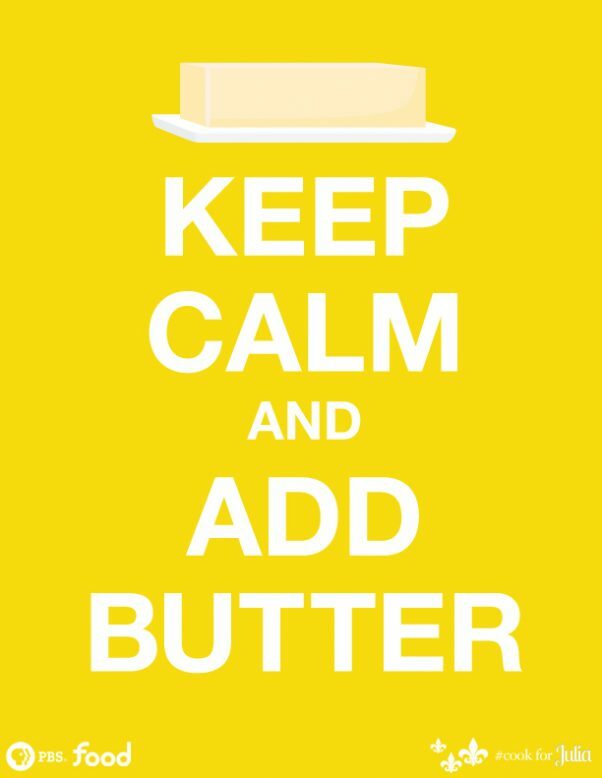 This blog is about attempting recipes for the first time so mistakes are part of the process. Remember when I made eight batches of macarons and two ended up in the trash? I need to take a picture of the trash can next time. A few bloggers told me I was funny. That was the nicest compliment ever. Thanks. Next year’s BlogHer Food conference will be in Austin, Texas. I’ve never been to Austin before. Sounds like a road trip. This entry was posted in blogging, Cooking Clubs, Food, food blogging and tagged Blog, BlogHer, BlogHer Food Conference, cooking clubs, food. Bookmark the permalink. austin, eh? i could drive to austin… 😉 fun to share your experience through your words! I hear Austin is awesome. I would like to go too! Your poor white jacket! Were you able to get the stains out? I re-read my blog and saw my typo about red “wine” not red “white” haha what a kook I am. 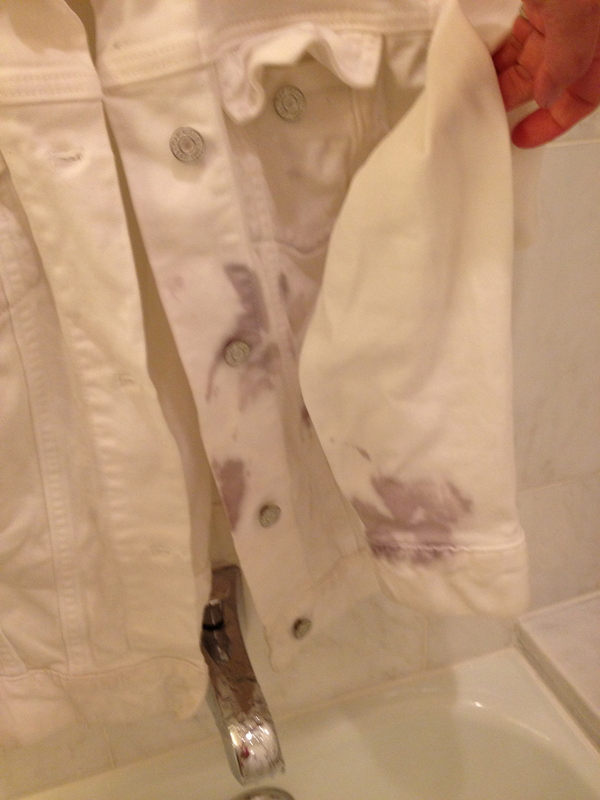 Anyone who wears a white jacket and drinks red wine should bring a spare ( which I did). I think the jacket will survive. It needed a good soaking in water and then washed with bleach and soap. It was great having dinner with you at Cap City Tavern after visiting the Denver Art Museum last Friday and hearing of your BlogHER conference escapades! It was also fun to read your words describing the experience as well! Let’s lift our glasses to good art, food and friends. Cheers! OMG thanks for dropping by my blog Joan. It was a fun night. Wow! I would love to come to a BlogHer conference. I think I’m going to have to try to make that happen in the next year or so. It would be awesome to meet you and all the other fab bloggers. Christina – you would be a great speaker. I so hope you come next year. It will be in Austin, Texas. It would be great to meet you in person.